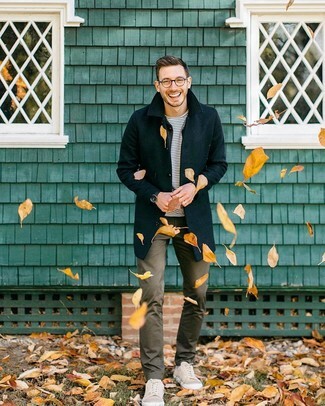 Breathe style into your day-to-day rotation with a black overcoat and brown chinos. Tone down the dressiness of this look by rocking beige low top sneakers. If you're after a casual yet on-trend ensemble, pair an olive bomber jacket with Ted Baker big tall london slim fit chino pants. Both garments are totally comfortable and will look great together. Channel your inner Ryan Gosling and opt for a pair of brown leather loafers to class up your look. 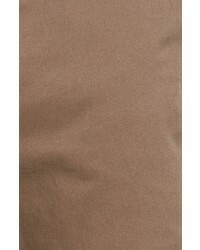 If you're in search of a casual yet dapper ensemble, rock a brown barn jacket with brown chinos. Both items are totally comfortable and will look great paired together. Up the cool of your outfit by completing it with dark brown suede brogues. 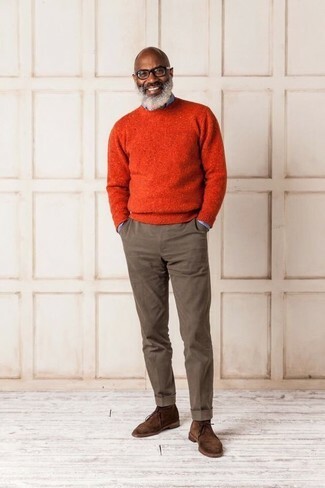 If you're after a casual yet dapper look, marry a black fair isle crew-neck sweater with Ted Baker big tall london slim fit chino pants from Nordstrom. Both pieces are totally comfortable and will look great together. A pair of dark brown leather casual boots will add some real flair to this look. 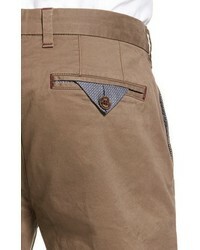 For a look that offers comfort and style, try teaming a brown paisley short sleeve shirt with Ted Baker brown chinos. To introduce some extra fanciness to your ensemble, complete this getup with grey suede derby shoes. 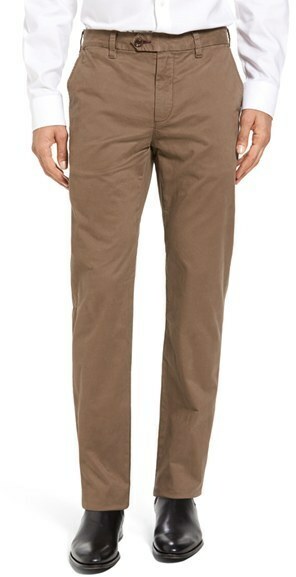 For a casually elegant ensemble, consider teaming a charcoal blazer with brown chinos — these items fit nicely together. If you're searching for a casual yet sharp ensemble, pair a blue plaid flannel long sleeve shirt with Ted Baker big tall london slim fit chino pants. Both pieces are totally comfortable and will look great together. 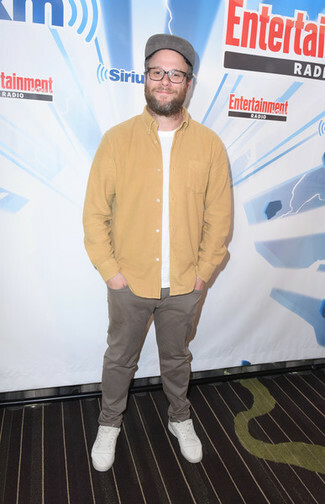 Consider brown suede low top sneakers as the glue that will bring your ensemble together. If you're after a casual yet stylish getup, try pairing an orange crew-neck sweater with Ted Baker big tall london slim fit chino pants. Both garments are totally comfortable and will look great paired together. When it comes to footwear, this outfit is complemented nicely with brown suede desert boots. 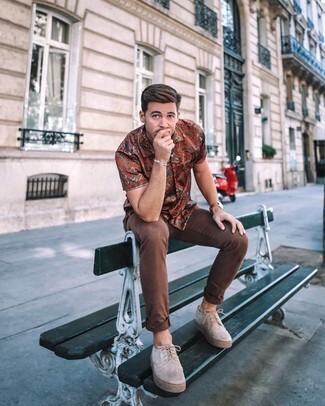 This pairing of a tan shirt jacket and Ted Baker big tall london slim fit chino pants is so easy to put together in seconds time, helping you look on-trend and ready for anything without spending too much time going through your closet. Break up your ensemble with more casual footwear, like this pair of white low top sneakers.